Generator Reviews – Generators are a life send to people devastated by any kind of natural disaster. With the amount of damage that these storms can cause, anyone wanting to ensure the safety and comfort of their family should take a closer look at these generator reviews of these powerful machines. In areas often hit by natural disasters, generators are nearly mandatory in homes. If you are looking for a quality portable generator, read this. When it comes to choosing a generator for your home, there are two brands that consistently stand out for reliability and affordability: Generac and Ariens. These companies are well-known for their quality products and the variety of generators available. Generator reviews are a great way to figure out if a particular type of machine is the right choice for your family. We’ll be going through the pros and cons of the top generators for each of these companies to see how they measure up against each other. When considering generator reviews, it’s important to consider these factors when deciding between Generac, Ariens or any generator. These are the most important details to consider. This means how the amount of wattage a generator is capable of producing. This is perhaps the most important thing to consider. Knowing how much wattage a generator has will tell you what kind of things you’ll be able to power with it. For example, a larger wattage means that you’ll be able to power larger appliances or many small appliances compared to a smaller wattage which would not be able to keep up. Your choice of wattage will depend on what you will want to ultimately use the generator for. Know that going over a generator’s capable wattage could ruin the generator. Starting watts is, essentially, the reference point as to the maximum amount of wattage the generator produces during the initial startup. Running watts, on the other hand, are the continuous flow of wattage while the generator is being used. You’ll want to take a look at the type of fuel that a generator uses before you make a purchase. 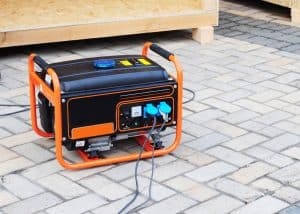 You want to have a good amount of it readily available, so make sure to purchase a generator that uses a fuel type that you can easily access. Gas, for example, is typically the easiest and most common type, though generators can also use propane and diesel and even solar as well. Run time depends on how big your generator’s fuel tank is. This dictates just how long your generator is capable of running before your fuel will become depleted. You should keep in mind the more appliances you have plugged into the generator, the faster the fuel will be drained. These can be completely varied from brand to brand or from one generator type to another. These are generally not entirely necessary to how well the generator will run, but these added features can sometimes make the experience a little easier. These features can include: an hour meter to help you plan fuel refills, an idle control that lets the generator run in a lower power when not being in use, a low fuel gauge, an auto-start feature, and more. Now that we have a better idea of what to look for in these brands, we’ll begin by doing a small overview of each before diving into more of the details. Each of these generators works great for any setting. It’s all in your own choice as the consumer. However, they are recommended for certain types of situations which would be good to keep in mind when going through generator reviews. The Generac is said to be best used for as both a work and a home backup power source. The Ariens generator is more recommended for emergency usage, specifically to power a few appliances. It also does well for those who enjoy camping. The Generac, due to its larger size and high wattage output, is fairly loud. Because of this, it may not be a great choice for a family with small children or animals that react to louder sounds. The Ariens generator has a very quiet operation, and the noise will be much less of an issue. Both of these generators come with their own way of alerting you when more fuel is needed. The Generac comes equipped with a power bar display which will allow you to monitor the amount of power available for use as well as allow you to know when more fuel is needed to be added to keep the power running properly. The Ariens generators doesn’t have quite the same detailed feature, but it does have a light that will turn on to alert you when the fuel starts to get too low. Because running out of fuel can be disastrous, having these sorts of warning mechanisms can help ensure that you won’t cause unnecessary damage to your equipment. Both generators come enclosed in a steel frame. This frame does add on to the weight of the two generators, making them both over 200 pounds. But it also aids in giving the generator extra support as well as protection. Both frames have been added in a way that gives that support without getting in the way when you need to access to the machine for general maintenance or other kinds of operations. These are the kinds of features that make these two generators stand out from one another in all generator reviews. They truly make the two generators unique. Generac comes with an easy start-up that makes getting it up and running a breeze. It also comes with a plug-in battery as well as a battery charging pack that allows you to make use of these extra bits of power without draining from the generator itself. A great feature of the Generac generator is the fact that it has an automatic shutdown. This will ensure that you won’t ever have to worry about damaging your generator due to it not having enough fuel. Ariens Generator is equipped with an auto voltage regulator (or an AVR). This prevents any damage happening to your electronics due to voltage spikes. Those kinds of power surges can completely fry electronics, but with this feature, you won’t have to worry about that happening at all. This particular Ariens generator also comes with a three-year consumer warranty on the entire unit. Although these prices can vary from one seller to another, generally the price of the Generac generators prices will be about double that of the Ariens. They are reliable and they come with many different features that have safety in mind. Ultimately, the choice between the two comes down to personal preference as each one is a good choice. Read top portable generators, if you are looking for one you will be able to move around easily. This price difference is a good investment if you prefer the higher wattage and longer running time of the Generac. The auto shutdown feature makes sure that your investment won’t become ruined by any kind of accident. However, if you don’t have a need for such a large amount of wattage, then you can make just as good use out of the Ariens. It’s a perfectly effective generator that will get the job done. With its extra AVR feature, you and your electronic devices will be safe and happy. Hopefully, these generator reviews can help you decide whether or not these specific generators are the right choice for you and your family. Every product has its own flaws and perks, but with this information in hand, you’ll be able to make an informed decision. Regardless of which one you purchase, a generator can be a great help in a time of need. We hope that you are able to find the perfect one that suits you. Kohler Generator vs Generac Generator: Which Is Right for You?